We usually think of an electric power system in terms of its more impressive parts – the big generating stations, transformers, high-voltage lines, etc. While these are some of the basic elements, there are many other necessary and fascinating components. Protective relaying is one of these. The function of protective relaying is to cause the prompt removal from service of any element of a power system when it suffers a short circuit, or when it starts to operate in any abnormal manner that might cause damage or otherwise interfere with the effective operation of the rest of the system. 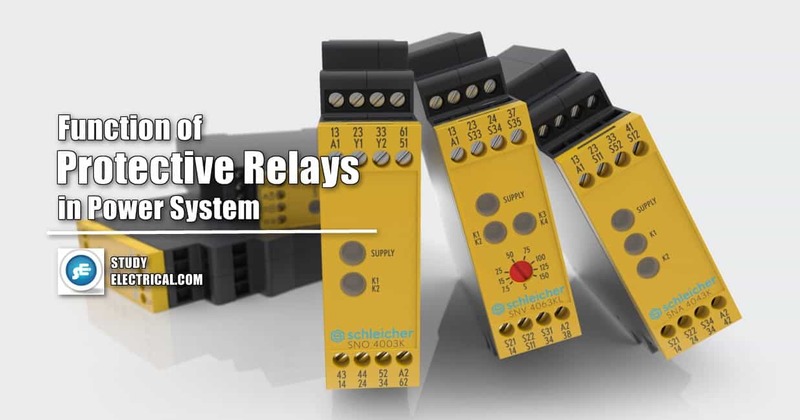 The relaying equipment is aided in this task by circuit breakers that are capable of disconnecting the faulty element when they are called upon to do so by the relaying equipment. Fusing is employed where protective relays and circuit breakers are not economically justifiable. Although the principal function of protective relaying is to mitigate the effects of short circuits, other abnormal operating conditions arise that also require the services of protective relaying. This is particularly true of generators and motors. A secondary function of protective relaying is to provide indication of the location and type of failure. Such data not only assist in expediting repair but also, by comparison with human observation and automatic oscillograph records, they provide means for analyzing the effectiveness of the fault-prevention and mitigation features including the protective relaying itself.